and maintenance requirements. 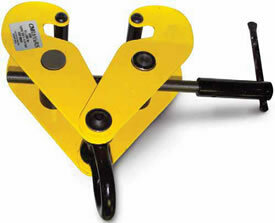 Clamps should be used only by authorized, properly trained operators. functional and will grip the load. 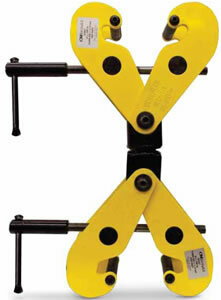 Do not exceed the clamps rated load or working load limit of other lifting equipment components. 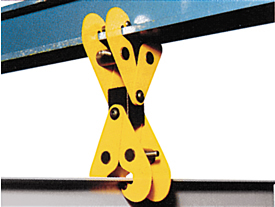 Lift only one plate at a time when using lifting clamps. 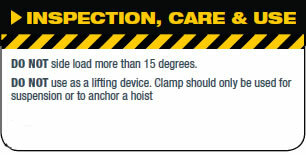 Use clamps and lifting equipment only if authorized and properly trained. Always stand clear when lifting and lowering. 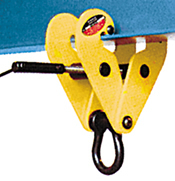 Use more than one clamp suspended from a lifting beam when lifting long loads. Always gently lift and lower. lb. in. in. in. in. in. in. in. lb. can only be used with a minimum of two suspension points.